How do you feel about what is happening now? What do you want to see happen at Victoria Park? Comment: Wow, great site and wonderful memories. I spent many years of my youth at Vic Park,and saw many fantastic games and marvellous champions like Thommo, Greening, Price, Mckenna, Daicos, Millane, etc too many to name. Please preserve the old ground,it has done us all proud, and must live on.I just wish the present admin at Lexus would get involved and help out too.It is a real shame they dont,forget our past and we have a very shallow future. Well done to Shane and all concerned,three cheers for all of you. 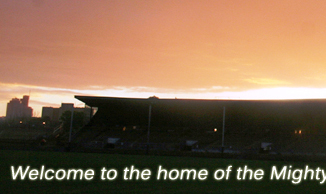 Comment: If there is a Heaven It`s Victoria Park and Jock Mchale is god. 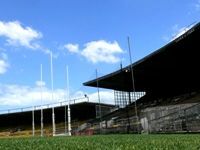 Vic park must stay on as Victoria Park i find it sad that CFC had to leave when i see the work at Arden St and at Whitten oval i wonder why we didnt do same thing. Anyway now that we gone and cant go back why not put a Collingwood Football Club Hall Of Fame there im sure the football club has lots and lots of hidden gems that could go on show like whats at essendons hall of fame. Vic Park Should not end up like Brunswick St Oval. Comment: i wish collingwood could redevelop vic park and move back there. because other victorian clubs are redeveloping their tradtional grounds. why cant collingwood do the same i could just imagine collingwood building a new admin and training facilty at this ground by demolishing one of the grandstands and building an elite training facility. lexus centre has no tradition of collingwood and there training oval is miles from lexus centre and the lexus centre is hard 2 get 2. Comment: Great site. I'm so proud to have spent many an afternoon there watching the Pies. My mothers family have Collingwood in their veins she is the last of the old Sherrins.Her brother being the late Tom Sherrin. Comment: Went for a walk down memory lane on Sunday. I hadn't been back since 1990. Stood where my pop and i did for all those years (miss the old bugger) i still got the same feeling as I did when I was a kid, the sweaty palm's and anxiety waiting for the boys to run onto the field. It was all still there in my mind, the sounds the smell the ferocity of the Collingwood army and the highs and the lows. Thanks for keeping it all alive. Side by Side we stick together!!! Comment: Thank You Collingwood for making a strong mark on my mothers life. Collingwood players used to billet with my Great Grandparents at D'Ahrenberg Winery McLaren Vale during WWII where they were born. Soldiers (Players) jumped ship to stay there and work tilling land & pruning vines. That is part of how Mum became a supporter when very young and kept it up until her death at 80 and 11 months. The Pies theme song was played at her funeral service. I Thank You for all the joy you have given her. She did love Mr Lou Richards very much. I would like the opportunity to one day meet him and Thank him. If you can pass on my thoughts I would be eternally grateful. Again, Many Many Thanks. Past and Present Players.